On the 31st of July of this year I was in the market square of Ypres with many others to commemorate the Battle of Passchendaele 100 years ago to the day. On that day the Welsh Poet Ellis Humphrey Evans or Hedd Wyn to give him his bardic name was killed. He was one of 9,300 British troops who died in the first three days of the Battle of Passchendaele. 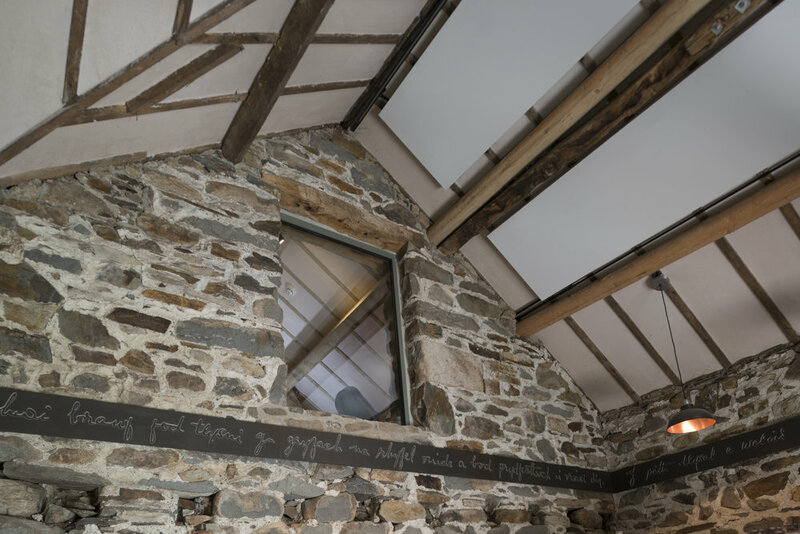 Co-incidentally I had just been commissioned by Purcell (www.purcelluk.com) who specialise in historic building architecture and conservation to photograph Yr Ysgwrn, the home of Hedd Wyn and Beudy Llwyd, which re-opened as a visitor centre this summer. 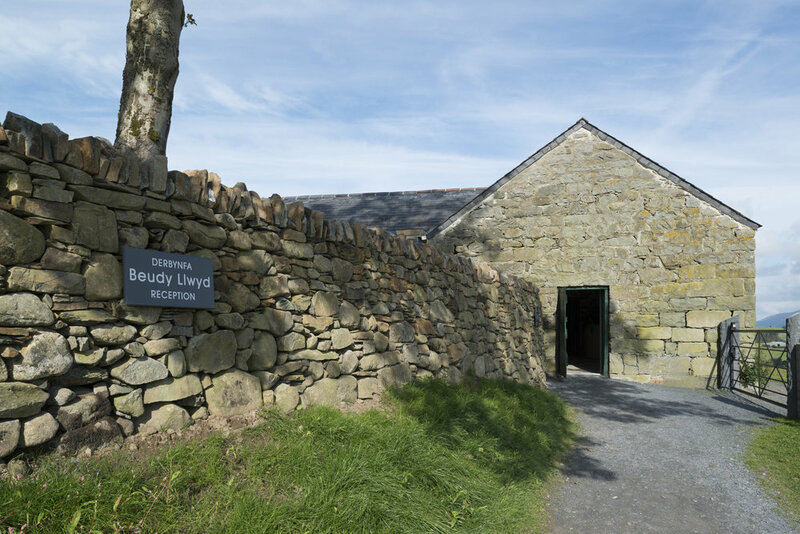 Hedd Wyn was born on 13 January 1887, in Trawsfynydd, the first of 14 children. He began writing poems aged just 11, mastering the hardest form of Welsh poetry (the cynghanedd) at 12 and continued to write after leaving school to work on the farm when he was 14. By 19 he was a regular competitor in eisteddfodau and won the first of his six chairs at Bala Eisteddfod in 1907. In 1910, he took the bardic name Hedd Wyn. 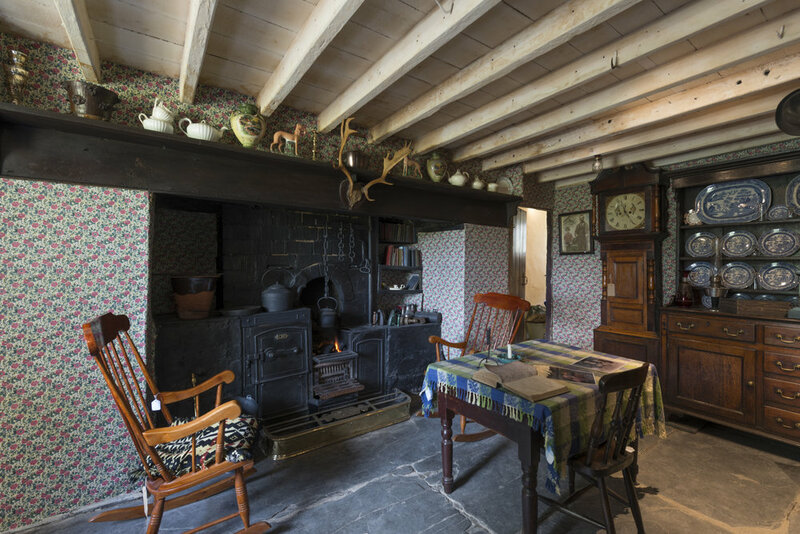 This traditional (Grade-II Listed) farmhouse came to prominence in 1917 when Hedd Wyn won his 6th chair at the Birkenhead National Eisteddfod just 6 weeks after his death at Pilckem Ridge near Ypres. The Black Chair as it became known remains at the farmhouse as a powerful symbol of the generation of young men who fought and died in the First World War. 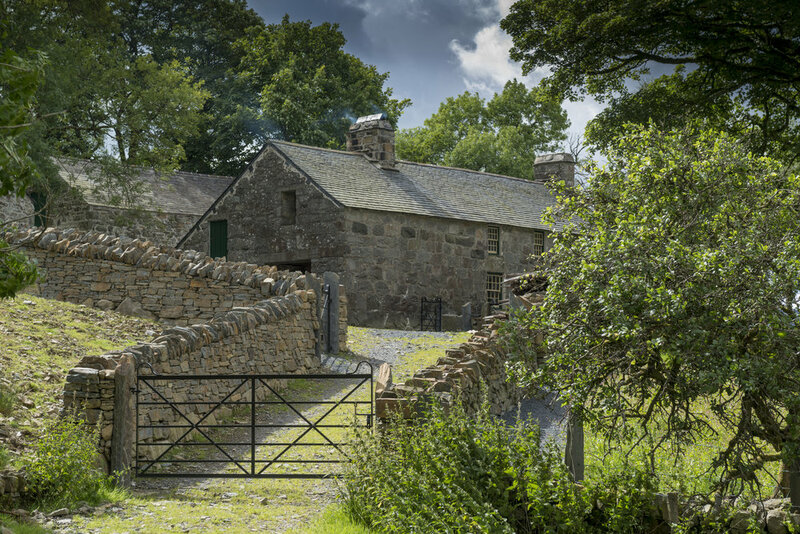 In 2012, the Snowdonia National Park Authority purchased Yr Ysgwrn securing it for the nation so that visitors can appreciate its history and cultural significance. 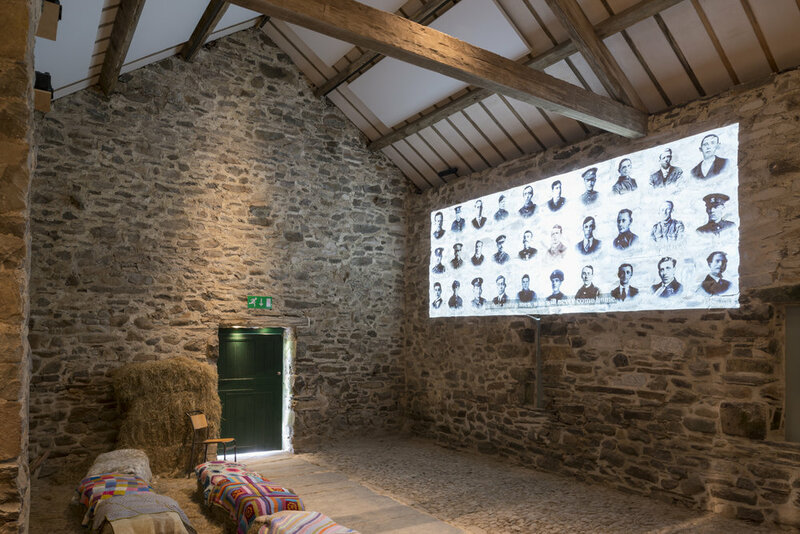 Hedd Wyn's nephew, Gerald Williams (now in his late 80's) lives on the farmstead between the original cottage and the converted pig barn, Beudy Llwyd which is now the visitor centre. 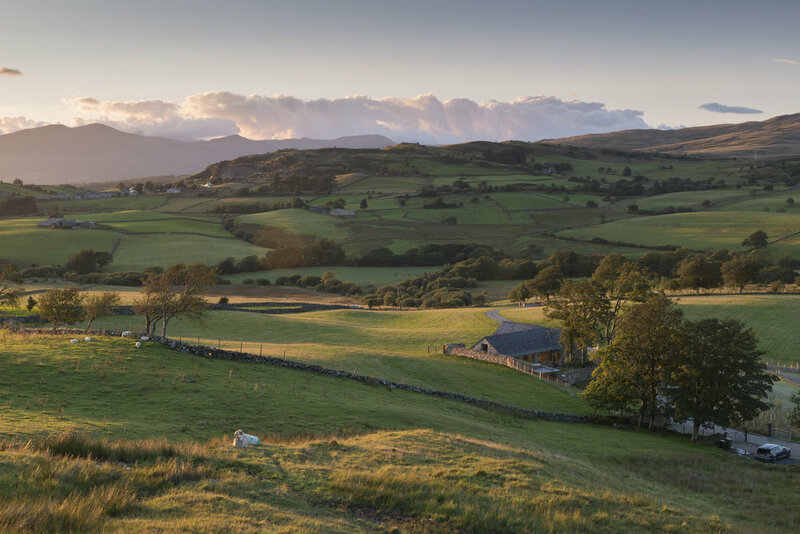 Yr Ysgwrn is still a working farm under the care of a tenant. 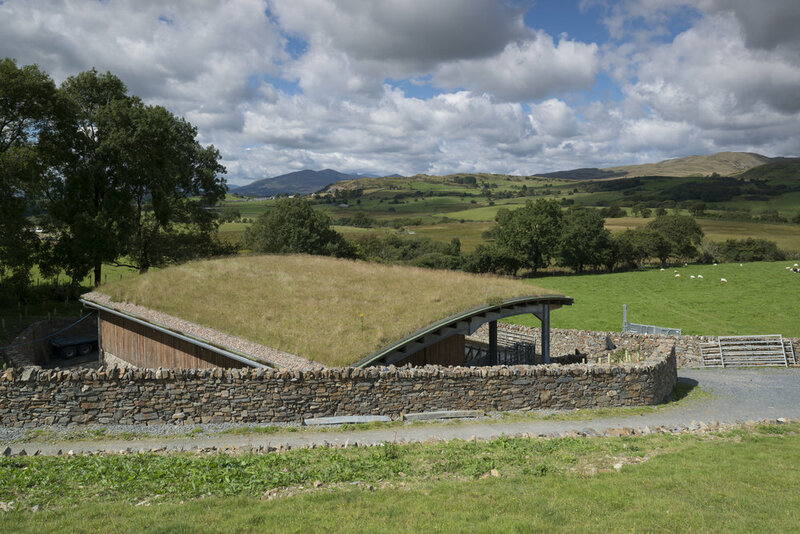 It is a stunning location and the Purcell architects have blended the design of the development so it sits within and complements the landscape using grass roofs and traditional stonework for the walls. 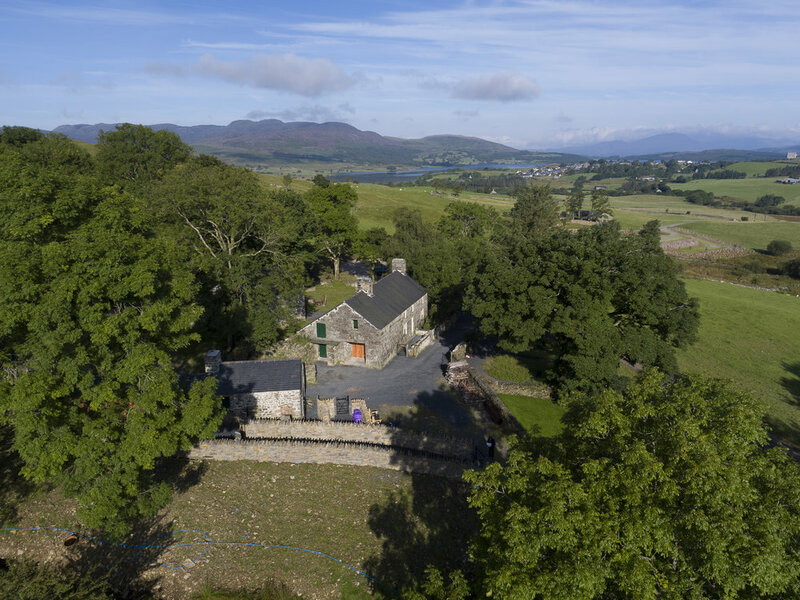 One of the requirements for the shoot was the provision for some drone imagery and Yr Ysgwrn is right on the edge of what is classed as a 'No Fly Zone' (NFZ). Military jets often train in the area and permissions had to be obtained from the RAF to fly the drone on a specific day and time. Photography around the visitors was successfully achieved by shooting before 10am and after 4pm but also during quieter periods during the day. Gwae fi fy myw mewn oes mor ddreng, Bitter to live in times like these. Yn codi ei awdurdod hell. Raises his gross authority. Mae swn yr ymladd ar ein clyw, His brother; we can hear death's roar. A'i gysgod ar fythynnod tlawd. It shadows the hovels of the poor. Ynghrog ar gangau'r helyg draw, We hung our harps in the willows again. A'u gwaed yn gymysg efo'r glaw Their blood is mingled with the rain.